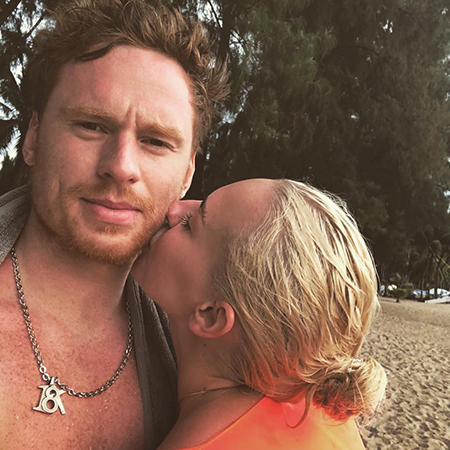 It seems that the 20-year-old Russian gymnast Yana Kudryavtseva, who won a silver medal at the Olympics in Rio de Janeiro in 2016, finally got over a breakup with the footballer Arthur Yusupov. At the beginning of the year the sportswoman started having the affair with the 28-year-old striker of "Salavat Yulaev" Dmitry Kugryshev, who bears a striking resemblance to Prince Harry. Then Kudryavtseva shared a joint picture with the hockey player from a trip to Dubai, where they flew off in January already as a couple. The lovers are in the honeymoon phase of their relationship. They continue to spend time together, often - just abroad. So, in April they rested in Thailand and shared with subscribers a tender and sunny shots, and the other day the couple flew to the Maldives and again posted touching photos, admitting each other in love in the comments. Kudryavtseva and Kugryshev's fans already seriously ask them about the date of the wedding and even tenderly call them "the family of redheads". Such happy and peaceful, elegant couple, Puppies, - they write. The lovers themselves do not hurry up yet, leaving behind an intrigue.